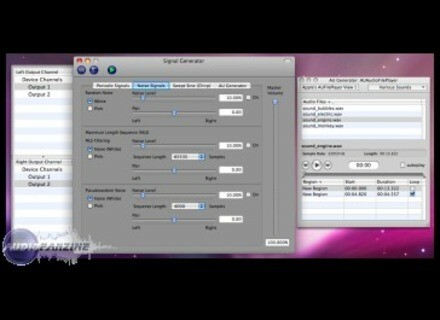 SignalSuite, Other Music Software from Faber Acoustical. Faber Acoustical has updated SignalSuite, an audio test signal generator application, to v3.1.5. Improved compatibility with Snow Leopard (Mac OS X, version 10.6). Sanford Sound Design Sanford Vector Pad Sanford Sound Design has announced the release of Sanford Vector Pad, a MIDI plug-in designed to let you control four MIDI sources at once using only your mouse. AlgoMusic CZynthia AlgoMusic has announced the release of CZynthia, a new Dual Phase Distortion virtual synthesizer. Zynewave Updates Podium to v2.21. Zynewave has updated Podium to v2.21.